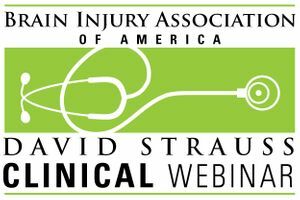 A David Strauss Memorial Clinical Lecture webinar featuring Michael Mozzoni, Ph.D. Aired live January 11, 2018. NEW! Downloadable Webinar now available! Dr. Mozzoni provides an overview of Applied Behavior Analysis and its applicability to brain injury rehabilitation. If you would like to purchase a CD, please select "CD/Handout Package, CBIS/T Rate (Includes 1 CEU)" from the drop-down menu.